Start your day off with a bang. And what better way to do so though at one of the Connecticut shooting ranges? Get ready, aim and fire at the targets as you have nice controlled fun. Everything you need for a whole new indoor shooting experience is offered at this very outstanding shooting range. 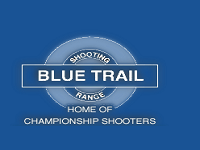 The Blue Trail Range in CT has the best and safest equipment that they grant to you for firearm experience whether for target practice, instructional training, and even for an event venue. They are definitely the right choice. Come and enjoy the thrilling moment and experience the best from their recreational offers. Visit them daily every Saturday and Sunday from 9 am to 5 pm. Also check out their calendar for more schedule updates. Enjoy! 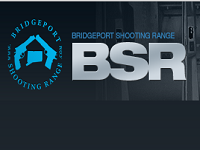 Are you looking for the best shooting range in Connecticut? Well, you have come to the right place. At Bridgeport Shooting Range in CT, exquisite training is given to you. With their safety procedures and helpful instructions, aiming and shooting will never be a problem. Experience the excitement now at Bridgeport Shooting Range in CT where you can remove the pressure of handling a firearm. Explore and see what they can offer you because they surely are the best shooting range in town. 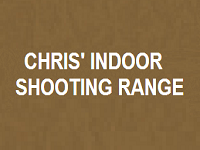 Chris' Indoor Shooting Range in CT offers you the best and friendliest ambiance where you can focus on your training and have fun at the same time. It is a very clean shooting range environment that will give full service of everything you need. From ammo to firearms, all are set. Just come here and enjoy. Check them out during their regular hours from 1 pm to 9 pm every Tuesday through Friday and 1 pm to 5 pm on Saturdays. Do not miss the enjoyable experience offered at Chris' Indoor Shooting Range in CT for they are always the best in town. Visit Wolf's Indoor Range & Shooting Center in CT and enjoy your most wanted shooting range experience. They will definitely give you safe and fun moments that will allow you to shoot targets accompanied by their guidelines. The best way to start your lesson would be their main priority. So sign up now and check for their special offers. With all their amazing supplies and items, what more could you ask for? Everything is absolutely perfect. Try several selections of their firearms from their detailed list. Have fun at Wolf's Indoor Range & Shooting Center in CT, the best shooting range in town. 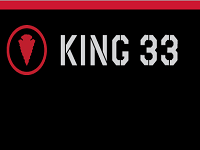 King 33 in CT offers to give quality services to their customers. With their professional trainers and friendly staff, the best tactical lessons on handling firearms are here. Offering you the kind of training you need for improving security matters and a leisure experience, it is surely a unique moment to have. They have classes for families to set their professional and situation awareness capabilities. You can choose from team building, home/commercial defense, prerequisites, personal protection, entertainment, and many more. You can visit them and make an appointment schedule for 1 to 8 hours. At King 33 in CT, they can surely give you a real life environment shooting range experience. From tactical gear, ammo, and shooting range, everything is all set for your most enjoyable experience of firearm handling. With their easy step by step instructions that you can absolutely follow, it is totally amazing. They can offer you the best of the best of their training programs that you will surely enjoy while learning at the same time. Visit their indoor shooting range every Monday through Saturday from 9 am to 9 pm and on Sundays from 11 am to 5 pm. 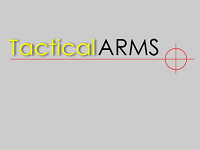 Shoot a machine gun, pistol, or rifle, any of your choice at your convenience only at Tactical Arms in CT.
A clean and well lit shooting range is all you need to have fun and exciting moments. At Shooters Pistol Range in CT, 12 stations are designed for individual safety guaranteed. It is absolutely for the convenience of all types of shooters. Don't miss the fun and visit them now. Check them out during their regular schedules from 1 to 6 pm on Mondays, 1 to 8 pm on Wednesdays and Thursdays, 1 to 7 pm on Fridays, 10 am to 6 pm on Saturdays and 9 am to 4 pm on Sundays. Rates may vary from firearm rentals to shooting ranges. 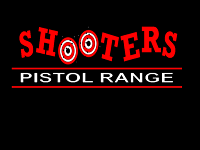 So plan your visit now at Shooters Pistol Range in CT.
Are you looking for grade A training on firearm shooting? Or do you want to experience the thrilling moment of tactical gun firing? At Connecticut Firearms Training, whether you are looking for excitement or training lessons, everything will suit for your convenience at their shooting range. With their highly experienced and friendly professional instructors, you will definitely learn in no time. From their wide selection of rifles, shotguns, and pistols, the excitement will never stop. You can check their calendar for events and schedules so you can start learning more tactics only at Connecticut Firearms Training. Want to have the most amazing experience at the sport of shooting? 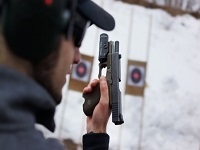 At the Silver City Gun Club in CT shooting range, you will surely have a great time. With their devotion to pistol and shotgun experience, your skills will be developed. With their certified leagues and events, your training is absolutely at its best. 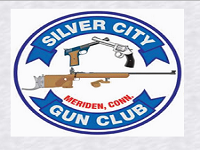 Come and visit Silver City Gun Club in Connecticut and be part of their variety of friendly shooting league competitions. Check out their calendars for more of their events and start your practice now at their best ever shooting range. 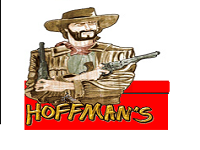 A very convenient shooting range is offered at Hoffman's Gun Center in CT where you can have an amazing experience and turn your day into an exciting 6 hour period of pistol training. Very safe instructions are given by their professional trainers to help you with your gun handling. Grab the chance to be part of their classes and learn from the best professionals that offer easy guidelines at Hoffman's Gun Center in CT. Their schedule is every Tuesday of each month from 5 pm to 9 pm. Be there!